Okay, I didn't scoop the media by breaking the story first...it was a long day. WTNH just did their report on the lawsuit presser from today on their 5:30 broadcast and Channel 30 just filed their report at 6. I'm not going to go into great detail behind the complaint as I want to wait until I get my video processed before going to great detail. The real story wasn't the presser, but rather the stunning arrogance of Mayor Boughton in his interviews with the media today. In his interview on Channel 8, Boughton made me laugh so hard, I had to catch by breath as my favorite mayor talked about how please he was with illegal-immigration buddy, Massachusetts governor and pathetic hypocrite Mitt Romney's illegal immigration political stunt that I talked about yesterday. Instead of being honest and acknowledging that Romney's so-called crackdown on illegal immigrants is nothing more than an obvious political stunt (Romney only has a couple of weeks left in office and the incoming governor has already stated that Romney's proposal won't see the light of day), Boughton pulls a slight of hand for the camera, flashes a smile, and offers admiration for his fellow Massachusetts Republican, who talks tough about illegal immigration while hiring illegal immigrants to work on his yard. (NOTE: No! Boughton didn't hire illegals to do his yard, Romney did. A link has been inserted and the word "Massachusetts" is now placed before the word "Republican" in the previous sentence to clear things up). This is nonsense...complete utter nonsense. 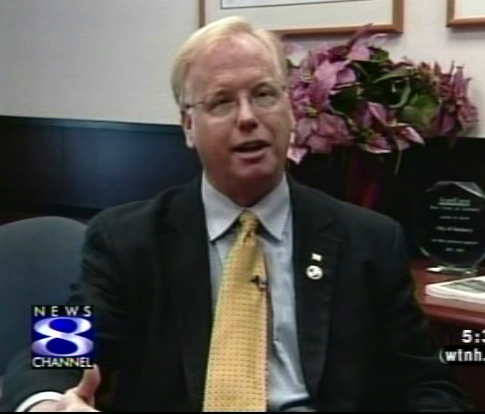 If you think that's ridiculous, catch Boughton's arrogant (if not outright shameless) interview on Channel 30. In this interview, the real Boughton comes out as he lets his feelings known about the individuals who are launching the FOI complaint. 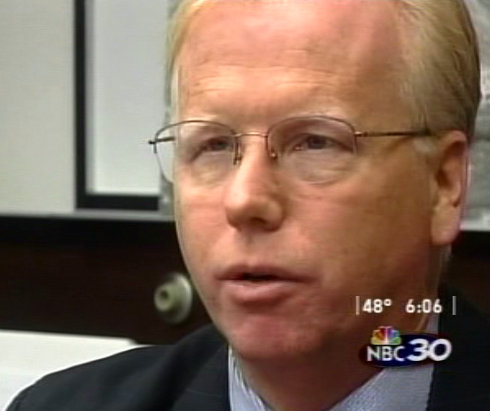 In typical Boughton fashion, the mayor ridicules the Yale law students who filed the complaint. 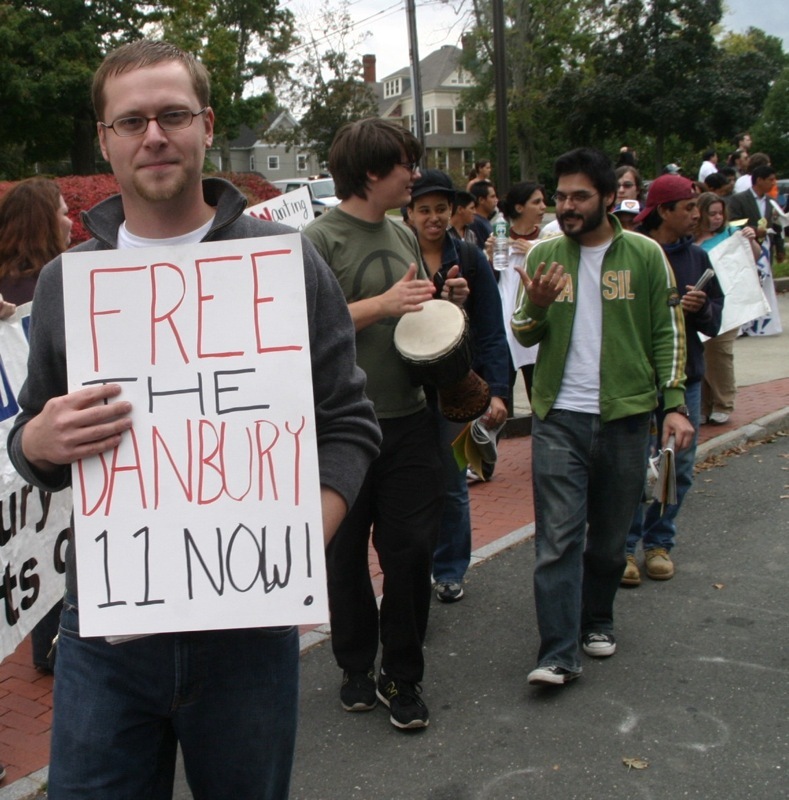 Lets not talk about how those students filed a FOI against Homeland Security requesting the communications between Boughton and Department Homeland Security (DHS) when he requested help in rounding up the immigrants and how DHS refuse to comply with the FOI request by releasing the information within the 30 day period which prompted this action by the students. This case is against the DHS for not releasing public information, not a case against the city. You can't consider filing a lawsuit if you don't have all the facts and if someone is refusing to provide the facts, you go to court...it happens all the time in FOI cases (trust me, I've been involved in a few of these things). Instead of talking about the merit of the case, Boughton just dismisses the law students as a bunch of kids who "don't have much to do with their time." It's an unnecessary and below the belt personal attack from a mayor plain and simple. Later tonight, I'll post my interview from the press conference as well as my interview with the so-called law students with too much free time on their hands. I also have a copy of the press release and the actual complaint that was filed and I'm working on converting it to .pdf as well as Microsoft Word format. After you see the interview and presser, you'll see the actual common sense behind this FOI complaint. UPDATE: Grr, just missed the report on Channel 61 by a a few seconds. I'll catch the re-broadcast and post it tomorrow morning. UPDATE: Here's channel 61's report.